When it comes to wrapping up the sale, category management is key. Audience, time of day, type of treat, and what’s in reach. All of these variables factor into the purchase decision. 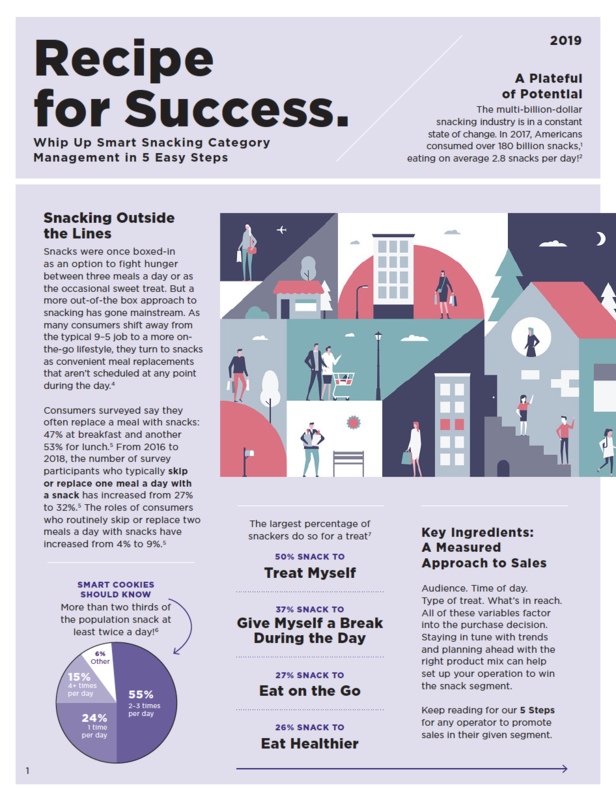 Staying in tune with trends and planning ahead with the right product mix can help set up your operation to win the snack segment.